One of the most oft-used pieces of golf advice most of us have heard is to “Keep your head down!” when making contact with the ball. However, many teachers will tell you to ignore this advice as multiple swing faults can result from restricting natural movement in the swing. Instead, the better mantra is to keep your head steady. The SteadHead golf training aid by R&D Golf was designed with the latter in mind, and it couldn’t be any simpler to use. I had the chance to test the training aid during a recent range session, and while it takes some getting used to, there is definitely something important to learn from using the SteadHead. 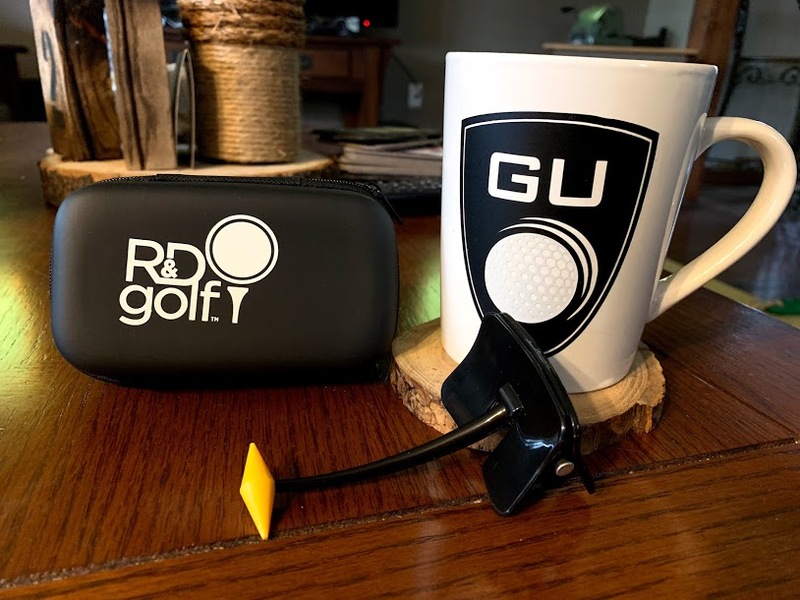 R&D Golf is a new business venture for mini-tour golfer Reed Howard, a man whose background is as interesting as his golf swing. Fans of Moe Norman’s single-plane swing will have likely stumbled upon one of Howard’s videos on YouTube. Howard, am accomplished collegiate golfer and son to Academy Award winning director Ron Howard, exemplifies how swinging the club on a single plane can benefit your game. You just have to get used to seeing what looks to be an uncomfortable move on the ball, but its results speak for themselves. If you watch the first few seconds of the above video you will see Howard’s swing in slow motion. Watch his head throughout the swing. What you’ll see — or rather, what you will not see — is excessive head sway or rotation. That’s the quality that Howard’s SteadHead hopes to instill in your swing. How Does the SteadHead Work? As you can see in Reed’s video above, using the SteadHead is incredibly simple. All you need is a baseball cap and a golf club, although the best results come from actually hitting golf balls on the range. After clipping the SteadHead to the bill of your cap, you’ll notice the yellow diamond-shaped object directly in your line-of-sight. The trick here is to focus on the golf ball while wearing the training aid, which can be difficult at first. However, after taking a few practice swings with a wedge I was able to figure it out and realized the true benefit of using the aid. Excessive head movement in any direction during the swing is bad news. The SteadHead provides a visual cue to give you instant feedback on how much — or how little — your head moves throughout a normal golf swing. I found this to be incredibly helpful in diagnosing my own head movement, which I am happy to report was minimal and consistent. Who Should Buy the SteadHead Training Aid? If you struggle with inconsistent strikes throughout your round, such as hitting the ball too thin or too fat, and you just can’t seem to figure out why, the SteadHead might be the answer. When I am playing poorly I tend to hit the ball too thin, which obviously means I am lifting up or shallowing out my attack angle at some point in the swing. Video feedback has taught me that I have a tendency to stand up straighter at impact than at address, which will cause my head to lift. Using the SteadHead helped me control this swing fault during my practice session. Thanks to the training aid’s design I was able to see where my head was in relation to the golf ball at address. It was easy to then keep the yellow diamond in the same location as I took my swing, which let me know how much I was moving my head. I have no doubt that the SteadHead will help my game over the cold winter months by helping me practice sound swing mechanics without being too intrusive. You can purchase the SteadHead for $24.99 at the R&D Golf website, www.rdgolf.net.